I just wanted to begin this Toronto Injury Lawyer Blog Post by first making quick reference to one of my previous entries. It’s the one dealing with how the OPP’s privacy legislation can impact your case, which was published on July 30, 2013. You can check it out in the Archives of the Blog here. Our office received 2 OPP Motor Vehicle Accident reports last week; along with the police officer’s notes, driver statements, witness statements etc. from 2 different accidents. We paid around $150 for each set of records. That’s $300 for all you math majors out there. The purpose really for requesting these records is to find out who’s the bad guy, where they live, their license plate # and other information so that we can track these wrongdoers down, and conduct any criminal or offense investigations in relation to this particular accident, or previous accidents. You also want this information in order to get the address for service of the Statement of Claim. You can’t serve a claim on a person without an address with an Order for the Court for Substituted Service. What did we get from the OPP? The entire report was completely redacted, except for the name and contact information of my clients. Our law firm hires an investigator to conduct these sort of searches. We faxed copies of the accident reports and the officers’ notes to our investigator. Our investigator is very good, with decades of RCMP experience. He’s now retired from the RCMP and does a lot of work for law firms across Ontario. Now that I’ve completed my little rant against the OPP and their redaction policies, I can continue with my blog entry on the case of the $1,000,000 ankle fracture. Ever hear of a total ankle replacement surgery? It’s just what you think it is. It’s pretty much the most serious form of surgery which you can get for your ankle. The ankle joint itself is a pretty complex and intricate joint; and very important to boot. Jane Doe is a professional theatrical dancer and choreographer. She’s gotta tap her feet and dance to the beat to make ends meet (#shouldabeenarapper). *NOTE: Dance instruction requires the instructor to be on his/her feet and show the students the dance all the right moves. Instructing from a chair isn’t the best method. Jane is out for a jog one early Saturday morning. The sun is just coming up. Visibility is normal. The ground is dry. Her shoes are relatively new running shoes which are proper for the circumstances. As Jane is jogging, she doesn’t notice the crater of a hole in the sidewalk. She isn’t paying proper attention to her surroundings. She jogs right into the hole, and stomps down with significant force on her right ankle. Jane hears a loud snap, crackle and then a pop. And no, that’s NOT the sound of her morning Rice Crispies. The ankle bends completely out of place such that the bone is sticking out from the side. Jane shrieks. She’s in total shock and feels cold chills run through her body. She faints, and is woken up later by a passerby who finds her lying still in the crater. Jane is taken away by ambulance to Peterborough Regional Hospital. She sees a number of orthopedic surgeons who mend the ankle as best as possible. Jane is put into a hard cast. Because the break is so bad, and so severe, Jane is later referred to a foot and ankle analyst at St. Michael’s Hospital in Toronto. NOTE: Surgeons focus on in all sorts of areas. Some focus on in the upper limbs. Others focus on lower limb injuries. There are only around 3 or so surgeons in all of Ontario who focus on ankle injuries. Jane needed one of these analyst surgeons because her ankle fracture was so bad. Jane was moved to the top of the wait list and had a number of metal plates, screws and rods inserted into her ankle in order to fix it in to place. But, this was only a temporary fix. Jane later had a total ankle replacement surgery in order to restore her function to as much a normal state as possible. So, where does the million dollar valuation come in to play? As a professional dancer/choreographer, Jane was earning around $40-$50K/year. She had no transferable skills of any significance. She would require some form of retraining and would not be able to perform any sort of job which required standing, bending, or heavy lifting. It goes without saying that manual labour was out of the question for Jane. She would be limited to a desk job. But Jane has never been suited for desk work. That’s why she went in to dance in the first place. Jane also has ADD and is VERY high energy. She knows that spending a prolonged period of time shackled to a desk was not suitable for her. Jane’s doctor and psychiatrist agreed. Jane needed to be doing something active and sedentary work would not suit her. Jane is 40 years old. She would have worked to the age of 67. Without present valuing the figures, 27 years of income loss at $40,000 per year amounts to $1,080,000. Tack on $150,000 in damages for pain and suffering; along with $50,000 for past and future care costs, along with $35,000 in past and future housekeeping/home maintenance; you’re looking at a valuation well over $1,000,000. Here’s the twist: LIABILITY. When you see the picture of the crater which Jane fell in to, it’s sooo big, and soooo cavernous; that it really makes you wonder how she fell in to this GIANT crater in the first place. Any reasonable person who was paying attention to their surroundings would have ran around the crater to avoid it all together, or adjusted their stride accordingly so they landed softly in the crater. Not Jane. She never saw it. They say that a picture says a thousand words. 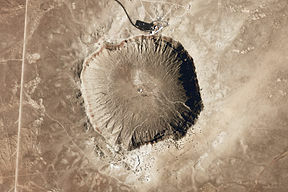 If you could have seen the picture of this crater, you would like say the same thing. How on earth could this have happened? The reality was that Jane was so zoned into her music and her run (it happens) that she failed to see the crater, and crash boom bang, there’s the accident. So what does a Court do with this sort of case. Regardless of the over $1,000,000 valuation, a Court might declare that Jane was half to blame (or more) for the accident. If it were found that Jane was 50% responsible for the accident (contributory negligence), then whatever amount which Jane is awarded at Court would be cut in half. That’s the twist to these sort of cases. Unless Jane is completely NOT responsible for this accident (like if a drunk driver had ran her over with a car and caused the same injuries), then it’s likely that her award, whatever it might be would be cut but a certain degree of contributory negligence. I’m sorry that the mystery twist wasn’t more exciting, like in the Encyclopedia Brown youth novels, but sometimes that’s just the way the legal non-fiction (fiction) story goes. All you Toronto Hockey fans should ask yourselves: would John Scott’s attack on Phil Kessel and Kessel’s two handed hockey slash (x2) in retaliation warrant criminal punishment? Assault causing bodily harm? Assault with a weapon (the hockey stick). We see that sort of brutality in the Courts everyday.